“The dog that didn’t bark” is an expression from a famous Sherlock Holmes mystery called Silver Blaze. The non-barking dog was a crucial clue that led to solving the case. It seems that the murderer-thief entered and exited the estate grounds without the guard dog barking. From this overlooked non-event, Holmes surmised that the dog must have known the perpetrator. 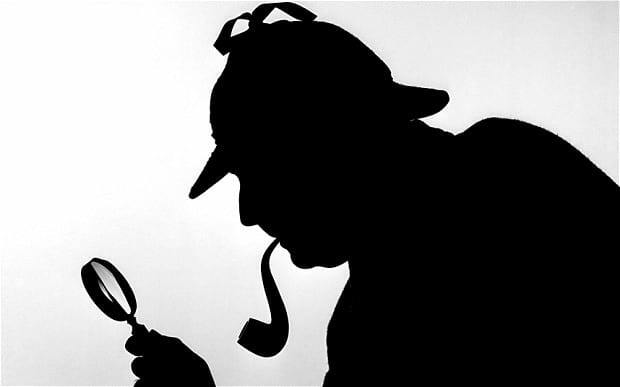 The clever ways Sherlock Holmes pieces together clues is an apt metaphor for the forensic analysis that must accompany a meticulous restoration of a car or motorcycle. Earlier this year I posted a four-part series on the Revs Institute Symposium on Connoisseurship and the Collectible Car. 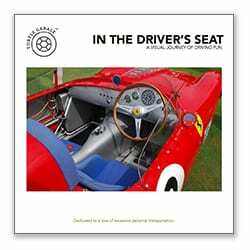 A similar version of this post was recently published in the June issue of Sports Car Market. The SCM story was titled, “Listening to the Artifact.” This title was inspired by a comment made by Miles Collier during one of the restoration lectures at the Revs Symposium. 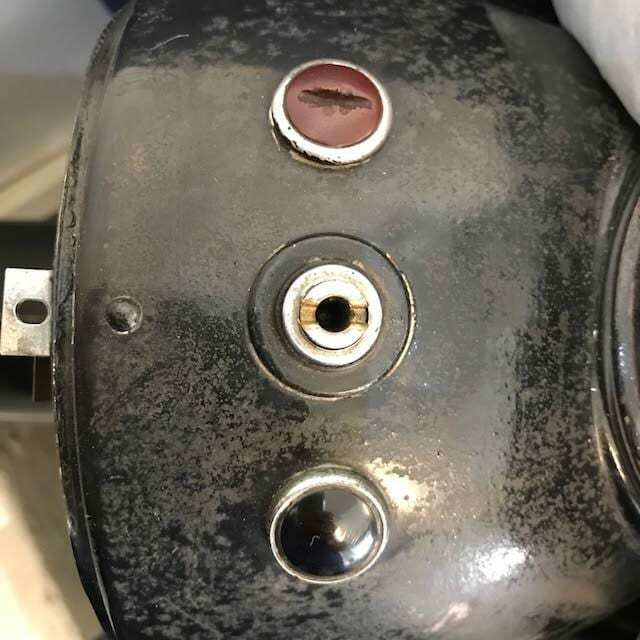 His point was that when performing a proper restoration you must carefully and thoughtfully study any telltale clues that were left behind from the manufacturing process. This is especially true with rare vintage race cars that were hand-built. This sage advice turned out to be the most important takeaway from the four-day Revs gathering. Real restoration experts must carefully and patiently look for the “dog that didn’t bark.” A more detailed account of Miles’ comments on listening to the artifact can be read here. Turtle Garage currently has four pre-war BMW motorcycle restorations concurrently underway at Mike Dunn’s Vintage German Motorcycles in Los Angeles. So far we have completed a mechanical preservation restoration of a totally original two-owner 1938 BMW R51. In the case of this machine, we chose to preserve its remarkable original condition. A historical artifact of this caliber is only original once. Brian and Mike felt it would be criminal to restore this rare, original, and complete pre-war BMW. The R51 is now finished and we are turning our efforts towards the 100-point Concours quality restorations on my 1936 R5 and R12 as well as my 1937 R5. 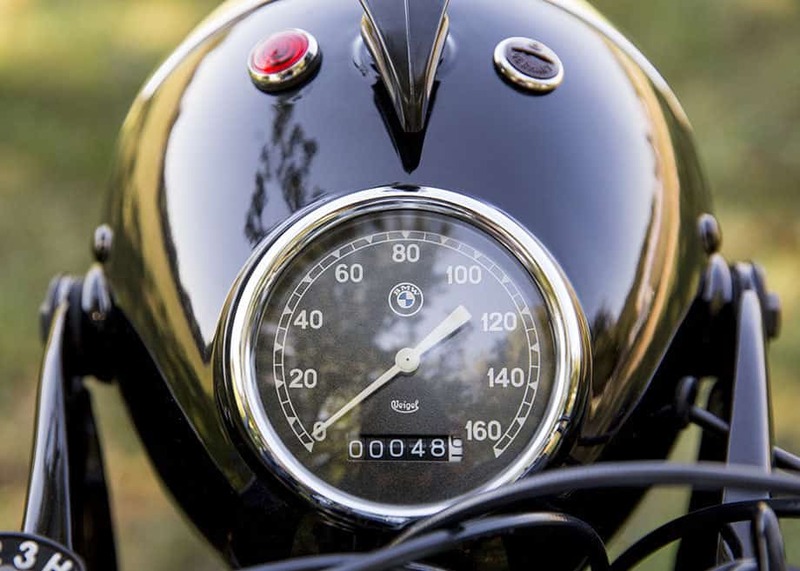 The mantra of “listening to the artifact” squarely applies to the restoration of 1930’s BMW motorcycles. During the pre-war era, BMW was a technological leader and innovator. BMW was creative and flexible with their production processes and this fact has made our detective work quite challenging. 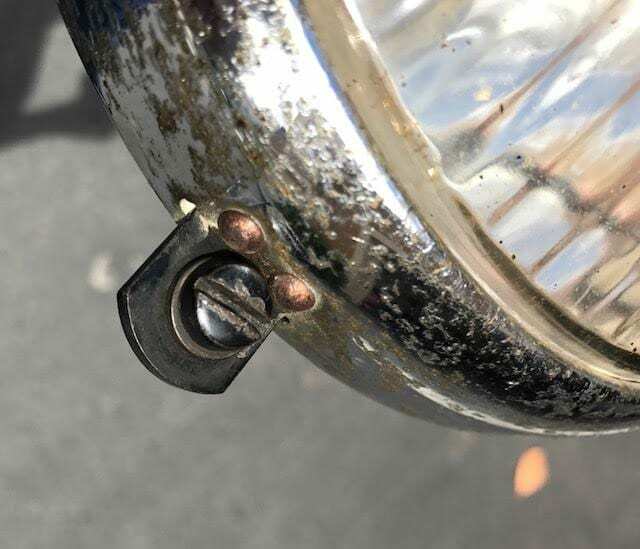 What follows is Brian Schneider’s account of restoring a headlight bucket from my 1937 BMW R5. He carefully studied other original headlight buckets from the era to deconstruct exactly how they were produced. Brian’s Sherlock Holmes-like detective work will yield a restoration that is thorough, precise, and painstakingly accurate. While no judge would ever see the complex inner workings of the R5’s headlight bucket, Brian and Mike want the forensics to be spot on. Recently we found out what it means to “listen to an artifact” in order to replicate its original condition. It was agreed that Philip Richter’s 1937 R5 would not only be restored to proper OEM configuration with parts and finishes, but we would outline a plan to actually restore the machine in a manner similar to, or even duplicating the OEM processes. We decided that the best way to try and apply this would be to start with a component that had some level of intricacy in its detail, something small enough to work with on the bench, and something verifiable in terms of originality. For this challenge, we chose an original 170mm Bosch headlamp, standard issue for many BMW motorcycles in the late 1930’s. The bucket was carefully disassembled but before doing so, a careful inspection of no less than four unrestored buckets was performed and inspected carefully for consistencies of assembly and finishes. These details were noted and then were analyzed in an attempt at reverse engineering the piece to determine how assembly may have originally occurred and which processes were involved, and finally how we might best duplicate them. 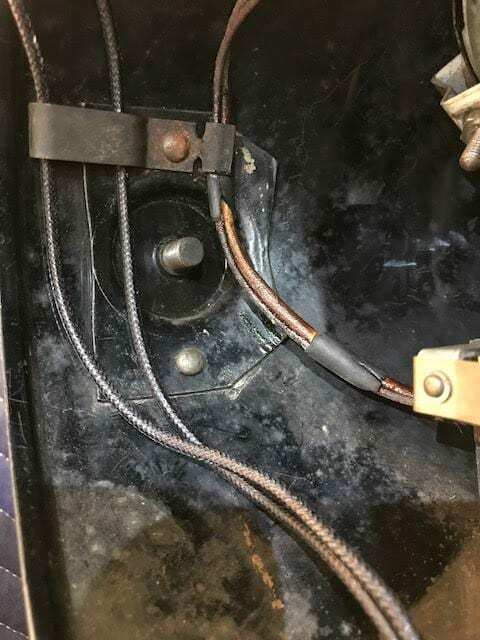 A careful inspection of the interior of the buckets left a roadmap as many of the parts had black oxide finishes, others were painted, and some had no finish at all. We began by asking how this might have occurred without affecting the finishes of the neighboring pieces. Much like a jigsaw puzzle, it emerged that assembly could only have occurred in an orderly, predefined manner that was consistent. In the end, a clear picture of the assembly line process emerged, something lost since the end of the second world war. 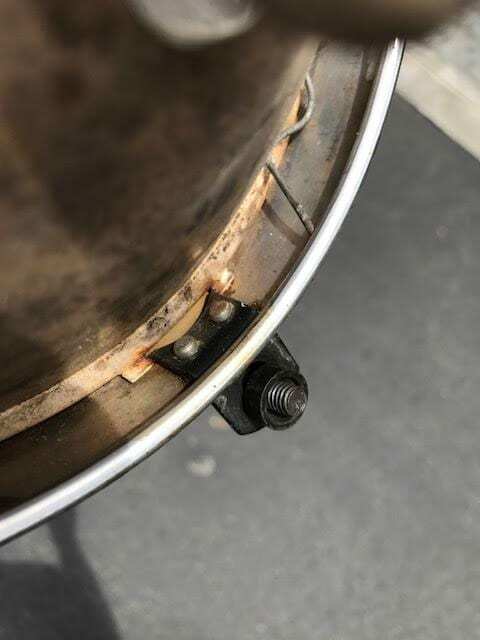 As seen in the photos below, the inner bucket had a light nitro cellulose paint coverage applied directly to bare metal with no traces of overspray on brackets or components. 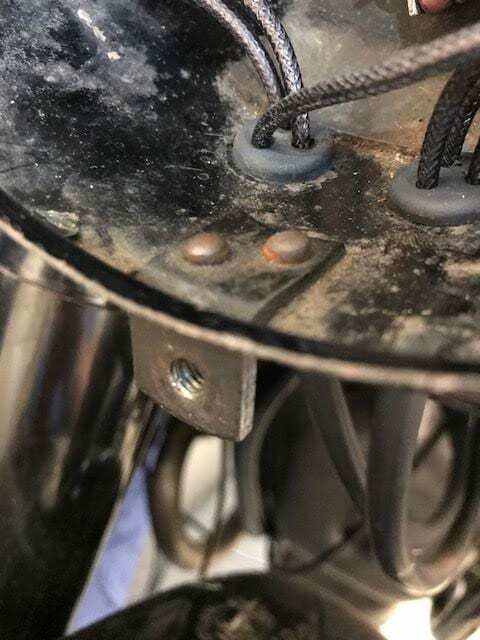 The inner side plates and upper and lower headlight ring retaining tabs are painted and yet their attaching rivets are bare metal along with the installed black oxide finished electrical wire retaining clips. This indicated that these plates were painted at the same time as the inner bucket and secured later after the paint was cured with the clips being added at the time of riveting. This is curious as it indicates that the paint and parts were applied in different areas of the assembly line by different laborers. A masking was applied over front access area as well as the speedometer and electrical access holes to prevent overspray on the assembled internal pieces. The outside of the bucket was then sprayed in the same paint finish and manner as the inside. 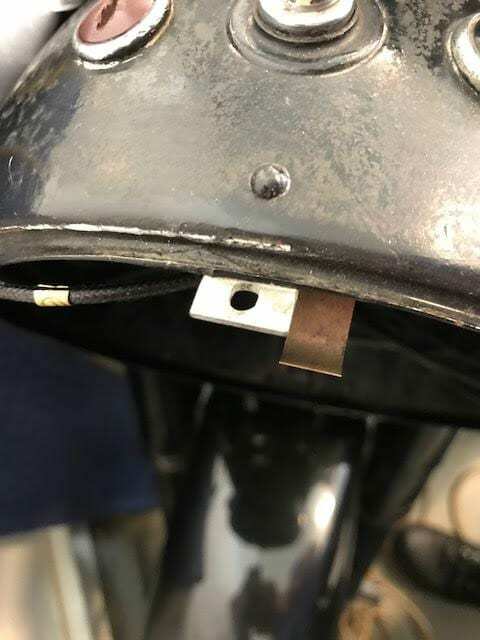 This left lower headlight ring mounting tab painted on the exposed areas and the top cad plated tab protected. 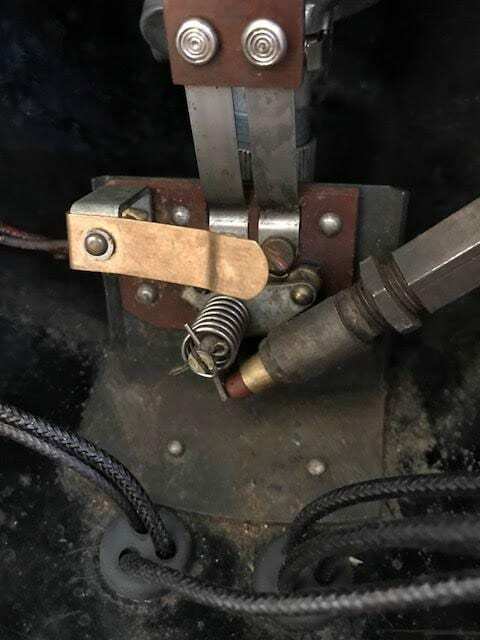 Additionally, the center black oxide finished bracket for the hi-low switch was added next along with upper and lower headlight ring tabs which were then riveted with their pre-painted finishes. This order of operation was assumed as these pieces, had they been installed first, would have made riveting the other pieces into place more difficult given the internal geometry and spacing constraints. The charge light lens was installed with a crimped shoulder on the inside to hold it in place. Next, the ignition switch was installed and finally the headlight ring with the lens. The lens ring itself had its mating tabs riveted to the bare brass finish and then had thin chrome plating applied directly without any copper underlay. The pre-painted tab was riveted after final plating with copper or brass rivets. Finally, security of the ring to the bucket was achieved with a captive painted slot screw.